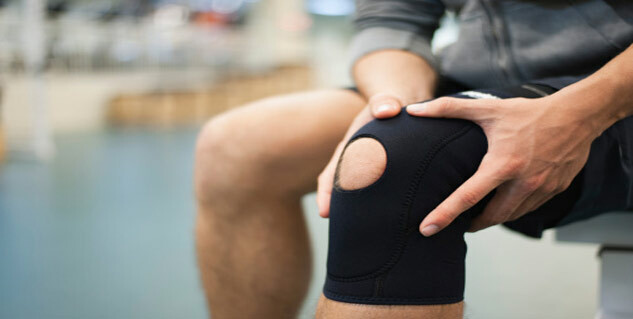 There are several causes of knee pain like infection,arthritisor or injury. The symptoms of pain depend on Ligament,Tendon or Meniscus injuries. Knee pain can occur in young and the elderly. Diagnosing the exact cause of your knee pain can be a challenge. Knee pain can occur in young and the elderly. In young adults injury is a leading cause of knee pain and in the elderly arthritis, injury are the common causes of knee pain. Simple causes of knee pain often resolve with self care. Arthritis: It is the most common causes of knee pain especially in the elderly. The common arthritis that cause knee pain include rheumatoid arthritis, osteoarthritis, and gout. Baker's cyst: This fluid-filled swelling behind the knee can occur with inflammation from other causes, like arthritis. Septic arthritis: Symptoms of infection of knee joint include fever, pain, swelling, and redness around the knee. Diagnosing the exact cause of your knee pain can be a challenge because of the wide range of possible causes. Your doctor will take a comprehensive medical history and do a thorough physical exam as these are more useful in knee pain diagnosis than any single test. Medical history may include questions regarding location of the pain, time and pattern of the pain, your exercise program, sports you play or used to play.